The four main telecommunications operators in South Africa – Vodacom, MTN, Cell C and Telkom – together with the regulatory body, the Independent Communications Authority of SA (ICASA), presented differing views to the Committee on how the cost to communicate could be reduced in the country. Vodacom said the information communication technology (ICT) sector was currently under policy review through the White Paper driven by the Department of Telecommunications and Postal Services (DTPS), with the objective of transforming the entire ICT sector. Its main aims were to bring the cost to communicate down, to enable the entry of new players and businesses into the sector and to ensure adequate rural coverage. The reception to the policy in certain quarters had been that it was anti-competitive, unconstitutional and would raise data costs, but the fears of Vodacom had been allayed by the SoNA 2018 address, where the President had given an assurance that the issue of spectrum would be tabled and fast-tracked, together with consultations between government and the telecoms industry to look at the allocation of spectrum, to ensure that costs to communicate were brought down. The most important aspect for Vodacom was changing the supply chain management (SCM) profile from that of the large multinational white-led businesses to include more small, medium and micro enterprises (SMMEs), black-owned businesses and especially female-owned businesses in the ICT sector. Cell C said the existing telecoms market structure was not delivering optimal outcomes in terms of prices, coverage, availability and quality of services, mainly because a very small number of vertically integrated players dominated the network infrastructure. The only factor proven to drive prices down was competition. In 2012, voice call prices had been upwards of R2.50 per minute, and Cell C had later introduced 99c a minute across all networks. Voice calls had been reduced to 66c a minute and even less, but when Cell C asked itself why South African consumers had not rushed to a cheaper network, it realised that it was saying 99c/minute when people had no idea what they had been paying in the first place from the other providers. The concept of cheap or expensive had not resonated, so transparency was a key issue. It had been a deliberate strategy from network operators to keep that information from consumers. Cell C had tried to introduce that transparency and suggested that it could even be regulated. Porting networks also remained a hassle, and that needed to change because then people could move with ease. MTN said it was driving affordability by reducing device costs in order to increase penetration and rural accessibility. It was working hard with device manufactures to reduce the price of equipment which was brought into the country. ICASA said the difference in percentages between in-bundle and out-of bundle rates ranged from 100% to 2 600%, which was extremely high. Even though smaller bundles were cheaper, the in-bundle rate was very expensive compared to high value data bundles, which essentially meant that the poor were paying more in terms of the bundle rates, compared to the rich. Looking at the data bundles offered by MTN and Vodacom in comparison to the same bundles they offered in other countries where they had operations, the bundles were more expensive in SA. ICASA had published a discussion document for comment which suggested that three markets had to be prioritised for future regulation -- the wholesale fixed access market, the upstream infrastructure market and the wholesale mobile services market. The Committee asked whether Telkom wanted government to subsidise Telkom’s business with taxpayer’s money, and still expect them pay for Telkom services. What was the impact of the current infrastructure needs of all operators, and how had that evolved over the years previously, and how had that contributed to the cost to communicate? Why were operators charging higher prices in SA than they did in their other markets? What impact would the Wireless Open Access Network (WOAN) have on the costs of operators to continue business? Did the End-User Subscriber Charter speak to lowering of costs to communicate? Had ICASA picked up any collusion between the duopoly and the other operators, as their charges were quite similar? The Committee said it needed a presentation to explain the structure of WOAN, as the offering had failed in countries like Mexico, Kenya and others. It was expecting ICASA to return to the Committee with responses on how it would intervene on the issues regarding the cost to communicate. Ms Pinky Kekana, Deputy Minister (DM): Department of Communications (DoC), said that though industry would be presenting as well as the regulator, the role of the DoC and the Independent Communications Authority of South Africa (ICASA) would be to see how they could offer support and deal with bottlenecks in the industry if those had been found. Her presence was merely to observe and take notes, rather than present. Mr J Parkies (ANC: Free State) proposed that the Chairperson allocate time for presentations so that the Committee could engage all the presenters. The Chairperson agreed, allocating 12 minutes to each presentation. Ms Tsholofelo Molefe, Chief Risk and Compliance Officer, Telkom, said as the statistics she was presenting had been completed in 2015, the numbers could have shifted a bit, Telkom wanted to connect South Africans seamlessly to the internet, as that would contribute to the developmental objectives of the country. However, about 51% of SA’s citizens still had no connectivity, and those that had internet access had connectivity through mobile technology. The Chairperson said that she welcomed the recommendation from Telkom to make data exempt from value added tax (VAT), as that had been raised by the Committee in its discussion on the impact of its increase. She asked whether the Committee would want to engage Telkom or allow the other stakeholders to present. Mr J Julius (DA, Gauteng) proposed that because industry, from Telkom’s presentation, were already at opposing ends of the establishment of the Wireless Open Access Network (WOAN) it would be difficult to couple the presentations, so the Committee had to be allowed to engage each presentation individually. Mr Parkies disagreed, saying that it would assist the discussion to have all the presentations tabled, so that questions could be asked at the end. The Chairperson said that the Committee would preferably ask questions in the order of presentations tabled during question time. Ms Takalani Netshitenze, Chief Officer: Corporate affairs, Vodacom, said Vodacom had a dedicated team of people monitoring global and national trends in recent policy developments and implementation. Vodacom fully subscribed to the National Development Plan (NDP) and Sustainable Development Goals (SDGs). In that regard, Vodacom had wondered what it could do with information communication technology (ICT) to assist in uplifting the lives of people whose socio-economic circumstances required attention. Having identified 12 priorities from the 2018 State of the Nation Address (SoNA), Vodacom had since been planning around how to assist government in achieving those priorities. The ICT sector was currently under policy review through the integrated ICT white paper driven by the Department of Telecommunications and Postal Services (DTPS), with the objective of transforming the entire ICT sector with a view to bringing the cost to communicate down, to enable entry of new players and businesses into the sector, and to ensure adequate rural coverage. 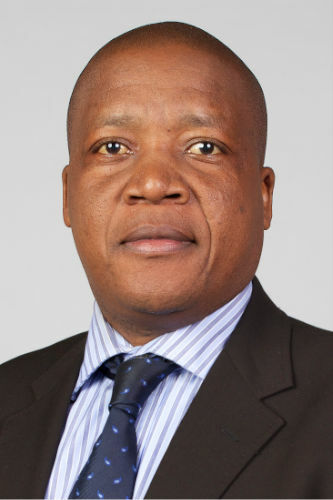 The reception to the policy in certain quarters had been that it was anti-competitive, unconstitutional and would raise data costs, but the fears of Vodacom had been allayed by the SoNA 2018 address where the President had noted that the issue of spectrum would be tabled and fast-tracked, together with consultations between government and the telecommunications industry to look at the allocation of spectrum to ensure that costs to communicate were brought down. Mr Andrew Barendse, Managing Executive: Regulatory Affairs, Vodacom, said that as Vodacom rolled out its 3G and 4G networks, there had been a real effort to get affordable handsets in the hands of new users and consumers. Over the past three years, the reduction in affordable smartphone handsets had been measurable. Once the new users were accessing the internet, Vodacom focused on ensuring transparent access by notifying consumers about the remaining balances of data, notifying them about new offers that could be personalised for them so that just before consumers were out of bundle, there would be an option to stay in bundle. An effort had been put into taking various sizes of data with different periods of validity and mixing and matching that so that, depending on how much money customers had, they would then be able to access a wider variety of choice than would ordinarily be available. It had also decided to reduce the out of bundle data rate, which was being closely monitored to see whether further reductions could not be effected in the out of bundle rate. It had been humbled by the response from its consumers, as there had been an increase in the sale of data bundles and year-on-year, the effective rate was declining. Vodacom had observed that its customers were purchasing bundles with varied validity -- from an hour, to a day to a week -- which overall had shown a healthy increase in Vodacom’s network traffic. For Vodacom, that had suggested it was reducing the overall cost to communicate. Ms Lynda Marthinus, Executive Head: Broad-Based Black Economic Empowerment (BBBEE) and Transformation, Vodacom, said that driving Small Medium and Micro Enterprises (SMME) growth in the ICT sector was probably the most important thing that the telecoms industry needed to do. Up to 2005, SMMEs had grown, but had then declined until 2014. There had been another spike from then on, which was thanks to BBBEE codes and other legislative tools that the government had put in place. Vodacom’s commitment to SMME growth was based on three pillars -- ensuring SMME survival through skills training, ensuring financial soundness, and developing saleable products and services. While developing SMMEs in the ICT sector, Vodacom was cognisant of ensuring that the network brought down costs of doing business for those SMMEs, and there were various products that Vodacom had which spoke to that. The most important pillar was changing the supply chain management (SCM) profile from the large previously multinational white-led businesses to including more SMMEs, black-owned businesses and especially female-owned businesses in the ICT sector. Vodacom’s reach was across all nine provinces, and the network understood that financing was the one way of keeping an SMME afloat. Vodacom knew that there was the 30-day preferential payment term programme which the network had previewed, where the ICT codes had asked for 15 days. Vodacom paid almost R500 million to its black-owned SMME service providers on the same day of invoice. Unfortunately. it did not have as many SMME ICT service providers in Mpumalanga, although it hoped that through its trade site ,where SMMEs could access Vodacom business, the network could reach more service providers. Vodacom currently had about 43 000 SMMEs in the under R10 million range registered on its business site, about 10 000 in the R10-15 million turnover range, and 7 000 in the higher range. In the next three years, Parliament would see a change in Vodacom’s racial profile of retail clients, because the company had already transformed 24 of its stores to 100% black ownership. Ms Netshitenze said that Vodacom had launched the digitisation strategy in 2016 in response to the fourth industrial revolution, where it had identified two pillars relevant to removing the cost barriers. First was the segment approach, and secondly was ensuring that Vodacom was a brand with a purpose. The segment approach was to ensure that Vodacom tailor-made products and services according to the spending patterns and needs of its customers. It had also launched a platform called ‘Siyakha’ -- a suite of ‘zero rated’ services -- which meant its customers could access certain services and sites without paying for the data. In that regard, the network looked at what was referred to as ‘cradle to employment searches’. Vodacom had started with a product called ‘Mom and Baby,’ a maternal health programme targeted at pregnant women and caregivers, which looked at baby milestones throughout an infant’s development to five years. Following that was Vodacom’s e-school, which ran in partnership with the Department of Basic Education (DBE). Vodacom also ran 19 zero-rated university portals to date without data charges, and a job finder’s portal where jobseekers could upload their curricula vitae. Vodacom had conducted a high level assessment of its ICT footprint on each of the 17 Sustainable Development Goals (SDGs), where the company had concluded that it could not attempt each each individual goal, as they were interrelated. Having streamlined its activities according to the above stated three pillars, Vodacom had to date connected 3 000 schools across the country where it could provide a database of where the schools were in each province and district. Additionally it had 92 teacher centres wherein were located 10 of the ICT centres, and there were Vodacom youth academies where ICT training was provided in partnership with Microsoft and Cisco to matriculants that had excelled in their studies, but without any prospects of going on to higher education. The e-schools had 390 000 registered users and 17 000 active users. Vodacom annually provided a R12 million bursary scheme to best the performing matriculants on science, technology, engineering and mathematics (STEM) subjects. It also provided ICT in gender empowerment, where the current focus was youth empowerment, and the company had participated in the government’s launch of the youth employment service. Having realised that some of the youth from its youth academy wanted to be entrepreneurs, Vodacom had started to provide the necessary support and resources through its innovator trust company, where it had invested R750 million specifically for SMME development. Vodacom had also started to focus on youths with ICT qualifications, but who were struggling to get employment, through its ‘change the world’ project. This was a voluntary project where these graduates were linked with non-profit organisations (NPOs) of their choice. Harrish Kasseepursad, Executive: Regulatory Affairs, Cell C referred to an extract from “A Brief History of Tomorrow,” a book by Yuval Noah Harari, which stated: “A recent study commissioned by Google's nemesis – Facebook – had indicated that already today the Facebook algorithm was a better judge of human personalities and dispositions than even people's friends, parents and spouses.” The study had been conducted on 86 220 volunteers who had a Facebook account. It had been found that Facebook could predict one’s answers from ‘ten “likes” from one’s Facebook page, better than one’s work colleagues; the algorithm needed seventy “likes” to outperform friends; 150 “likes” to outperform family members; and 300 “likes” to outperform spouses. Therefore Facebook could possibly know an individual better than their spouse from 300 “likes,” and could predict one’s opinions and desires better than one’s husband or wife. Indeed, in some fields, the Facebook algorithm did better than the person themselves. This was all important because data and access to all the above were becoming more important daily, although the reference was the darker side. However,he reality was that if the telecoms sector excluded South Africans from being able to access that information, the country would fall behind. The existing telecoms market structure was not delivering optimal outcomes in terms of prices, coverage, availability and quality of services mainly because a very small number of vertically integrated players dominated the network infrastructure. The only thing proven to drive prices down was competition. Not only were Vodacom and MTN the largest incumbent operators, but operators could compete effectively only on service and price, which was what drove prices down. Based on the earnings before interest, tax, depreciation and amortization (EBITDA) margins, Vodacom’s dividend payout was above Cell C’s capital expenditure (Capex) spending, because Vodacom had been given certain advantages where there had been no incentive for them to bring prices down. There were a number of tools provided to the Independent Communications Authority of South Africa (ICASA) to assist challenger operators to stimulate competition and drive prices downward. These were chiefly the mobile termination rates and the number of portability regulations that ICASA was reviewing. In 2012 voice call prices had been upwards of R2.50c per minute, when Cell C had later introduced introduced 99c a minute across all networks. To date, voice calls had gone down to 66c a minute and even less, but what Cell C had expected to get had been a rush of customers porting to Cell C. The rush never came and strangely, when Cell C asked itself why the South African consumer had not moved to a cheaper network, it had realised that it was saying 99c/minute when people had no idea what they had been paying in the first place from the other providers. The concept of cheaper or expensive had not resonated, therefore transparency was a key issue and to date the audience in the meeting still did not know how much they paid for 1 megabyte per minute. No one knew, and that was a deliberate strategy from network operators to keep that information from consumers. Cell C had tried to introduce that transparency and possibly that could even be regulated. Secondly, porting networks remained a hassle in SA and that needed to change, because then people could move with ease. Mr Kasseepursad said from Cell C’s analysis, the network was around 40% cheaper than the market it operated in on a per dot megabyte basis. Indeed, Cell C had invested in proper network coverage over the years and the Committee would see in all the presentations a reference to an ‘effective rate,’ which was nothing that a consumer could effectively pay in isolation, because operators blended offerings. For example, one could get free minutes at particular times of the day and night, and if one calculated, an average could result. However; the reality was that the consumer would not be paying that ‘effective rate’ at a time when the consumer wanted to make a call or use data. Cell C was the only network with mobile virtual network operators (MVNOs) which were a very good way of introducing service-based competition, as MVNOs focused on niche communities to give customers what they wanted. The Wireless Open Access Network (WOAN) had the potential to avoid infrastructure duplication -- for example, having three base stations within an 80-meter radius of each other, which cost a lot of money to build. It was ridiculous to duplicate infrastructure like that and there needed to be infrastructure sharing that had to be regulated and enforced. Factoring that out of the system, the cost of infrastructure could be passed on to the consumer. Mr Themba Phiri, Executive Head: Regulatory Affairs, Cell C, said what Vodacom had said was quite difficult for Cell C, since SA had experienced wholesale open access service providers locally, as referenced in their presentation. There was therefore no need to refer to what had happened elsewhere in the world. It was for that reason that Cell C supported WOAN as envisaged in the integrated ICT white paper driven by the DTPS. Bringing wholesale competition would certainly promote service-based competition. Mr Sandile Ntsele, Chief Operations Officer (COO), MTN, said MTN was driving affordability by reducing device costs in order to increase penetration and rural accessibility. It was working hard with device manufactures to reduce the price of equipment which was brought into the country. Ms Botlenyana Mokhele, Councillor, ICASA, said that ICASA believed that ensuring affordable access to telecoms services for all in SA was at the core of their mandate. ICASA would provide context to the realistic approach to assessing the cost to communicate. This had been evidence-based work which ICASA had been doing on voice and data, and also in terms of its relative performance in terms of the cost to communicate in Southern African Development Community (SADC) countries, in Brazil, Russia, India, China and South Africa (BRICS) countries, and internationally as well. The authority would also present an update of its activities since its last appearance before the Committee in 2017. There had been some movement in out of bundle rates and data expiry rules, led by operators. The finalisation of a proper framework to provide certainty in the market in relation to two ICASA initiatives remained. These were the amendment to the End-User Subscriber Charter, and providing a list of markets susceptible to competition regulation. ICASA intended to do all that in the first quarter of this financial year, and would continue to cooperate with the Competition Commission around the data inquiry. ICASA normally published a tariff analysis report, which was also planned for the first quarter of the 2018/19 financial year. Mr Kenny Mphahlele, Senior Manager: Sector Forecasting, ICASA, said the difference in percentages between in-bundle and out-of bundle rates ranged from 100% to 2 600%, which was extremely high. Even though smaller bundles were cheaper, the in-bundle rate was very expensive compared to high value data bundles, which essentially meant that the poor were paying more in terms of the bundle rates, compared to the rich. Looking at the data bundles offered by MTN and Vodacom in comparison to the same bundles they offered in other countries where they had operations, the bundles were more expensive in SA. ICASA had published a discussion document for comment where the preliminary views regarding priority markets suggested that three markets had to be prioritised for future regulation. These were the wholesale fixed access market, the upstream infrastructure market, and the wholesale mobile services market. Mr J Nyambi (ANC, Mpumalanga) said probably it had been flawed planning to set the meeting only for the morning session because that would limit the engagement. He proposed that Members be allowed two questions per presentation. The Chairperson concurred with the suggestion, commenting that the Committee would also have to set another date to continue the engagement. Mr Julius proposed that the meeting be allowed to proceed closer to 14h00. He also asked Mr Nyambi to arrange a whole day, even outside of the Parliamentary precinct, to engage the four companies further on the matters presented on. Mr Nyambi recalled that previously there had been no debate about the cost to communicate being expensive, but ICASA’s presentation had told the Committee that by virtue of SA’s data prices being in the middle somewhere in comparison to the BRICS countries, local data was not expensive. It was wrong to want to say data was inexpensive. He had not seen a comparison of Telkom’s service offerings with the other telecoms companies which had presented to the Committee in ICASA’s presentation. Regarding those benefiting from ICT, the Western Cape (WC), Gauteng and KwaZulu-Natal (KZN) were always prioritised above other provinces, which was the problem of the ‘entrenched triangle’ within the nine provinces of SA. During a recent oversight trip to Russia, the SA embassy had organised for the Parliamentary delegation to engage with South Africans in that country, where he had met students who had been sponsored to study by one of the companies before the Committee. The initiative was commendable, but the fact that all the students came from one area in the entire country was troubling, although they would assist SA in the long term. He asked for Vodacom to locate where the 1 million beneficiaries were in the country that benefited from their ‘Mom and Baby’ programme. The Committee understood that the matter of spectrum not being rolled out could be problematic, but his sense was that there were contradictions from the industry. The stakeholders would not have been reporting on reductions to their services and products if spectrum was the biggest challenge to their operations. What was the challenge in reducing data charges further so that the poorest could agree that the costs had gone down? Either his understanding was flawed, or there was misrepresentation because as a customer of one of the companies before the Committee he had not experienced the reductions -- and that was even before the 1% Value Added Tax (VAT) increase which would be effected from the 1 April 2018. His anticipation was that the increase would be passed on to consumers as well, because he had already been receiving short message services (SMSs) about that increase affecting data and voice charges. Because SA had rural provinces, the stakeholders had to ensure that those provinces benefited from ICT services roll-out. It would have been good for all the companies to have included in their presentation a slide with the location of all the schools that had received tablets and laptops. He said that since the programming whip of the Committee was present, the Management Committee (MANCO) of the Committee could certainly arrange for the Committee to have another session with all the stakeholders to continue with the engagement, if there was such a need. Mr J Parkies (ANC, Free State) the presentations had been grandiose, but he was disappointed in ICASA as he it was not acceptable for it to be saying the poor were currently paying more to communicate. He had expected that ICASA would be reporting on its interventions in reducing costs to communicate, as it had the authority to do so. The commission of inquiry had been a belated intervention. Vodacom had reported having connected 3 000 schools to the ICT network of the country. He wanted a database of the connected schools, and the location and demographics of those 390 000 registered e-schools users. Additionally, he wanted the location and details of the beneficiaries of the R12 million annual bursary disbursements, as well as the youth beneficiaries of the ICT training. The mentality of state officials and corporates in the telecoms sector was too ‘western,’ and his proposal was that at the next engagement with ICASA, the regulator had to respond to all the recommendations and challenges from the industry, apart from the work of the inquiry. He said that SA could not be compared to Swaziland and Zimbabwe when research was being done by ICASA, since academic publications said SA was an under-developed country with the characteristics of a developed country. His proposal was that when doing research, this had to be balanced because the reality was that SA was predominantly a rural country, where residents of rural areas were faced by unemployment and tormenting poverty. There were still people without electricity in the Eastern Cape -- how were the stakeholders helping those poor people? Mr Julius said the issue was how to cut the cost to communicate down. The Committee had heard proposals from the operators and ICASA, but ICASA had just mentioned that spectrum posed an investment risk, although it had not elaborated. Was the reference to the litigation between ICASA and the Minister of the DTPS? He was also disappointed that Minister Siyabonga Cwele was absent, as he was central to the issue of reducing the cost to communicate. It was the most important issue which the Committee had to ensure that it got out of its way before its term ended, as consumers had been bemoaning the cost to communicate for a while. He asked whether Telkom wanted the government to subsidise its business with taxpayer’s money and then to still pay for Telkom services. Telkom probably had a small market share because of its lack of business acumen. He asked Telkom to elaborate on the need for a subsidy. What was Telkom’s proposal regarding the lowering of costs for infrastructure expenditure if copper theft was a problem? Could spectrum undercut the infrastructure spending? The Committee had not received a presentation on WOAN from the DTPS. Could someone explain that to the Committee, as it did not know the structure of WOAN, and the offering had failed in countries like Mexico, Kenya and others. Hearing from the operators that if spectrum was rolled out, rural areas would receive cheap and faster access to internet, he was disappointed that ICASA had not spoken about spectrum. Telling the Committee about their corporate social investment would not reduce the cost to communicate, even though it was commendable, because if spectrum was not rolled out and government decided to go with WOAN -- which would come into effect from 2018 -- did rural children to have to wait that time to get 4G and 5G internet access? That was depriving those children of economic and educational opportunities which they desperately needed now. The delays were depriving the SA economy of its competitive edge against other economies of the world. WOAN would not be the answer -- a free market economy was what was needed, with interventions to eradicate the effects of the past. ICASA had not come out clearly that WOAN was the DTPS trying to pull its teeth out. What was the impact of the current infrastructure needs of all the operators? How had that evolved over the previous year, and how had it contributed to the cost to communicate? Why were operators operating in markets outside SA charging higher prices in SA than they did in their other markets? What impact would WOAN have on the costs of operators to continue business? He wanted to know from Cell C whether WOAN would ultimately lead to cheaper data. Mr O Sefako (ANC, North West) said that Telkom had spoken of a duopoly which made competition difficult. Along the border areas from Supingstad, Lekgophung to Moshana -- rural areas of North West (NW) -- where there was supposed to be Vodacom and MTN coverage, people could not make phone calls to their Independent Electoral Commission (IEC) voting stations to see whether they they were registered for the 2019 general elections. The only network provider that could be found there was a provider from Botswana, but a few kilometres away, Vodacom reception could be found. As the dominant players in the telecoms sector, what were Vodacom and MTN not doing well to ensure rural coverage in those communities? Possibly ICASA had to be emphatic in breaking the duopoly so that there would be no squeezing out of other telecoms companies in accessing the space. Did the End-User Subscriber Charter speak to lowering of costs to communicate? Was the expensiveness of the cost to communicate driven by demand or the economic status of the country, to ensure that the poor would also be able to access? Mr A Singh (ANC, KwaZulu-Natal) seconded the proposal to have another session with the operators and ICASA. He also required the demographics of the schools that the operators had connected and their locations as well. He also wanted to know why the South African market was charged more for communication that any other market the duopoly operated in. Had ICASA not picked up any collusion between the duopoly and the other operators, as their charges were quite similar? Ms Z Ncitha (ANC, Eastern Cape) asked what interventions ICASA had introduced to reduce the cost to communicate, and if there was any assistance ICASA needed from the National Council of Provinces (NCOP) in that regard. The Chairperson agreed with the proposal that the Committee schedule a hearing with the operators and regulator very soon, but with representatives from other age groups and sectors to engage on the cost to communicate. Deputy Minister Kekana said that in the next round of engagements, she would probably request that the operators be allowed to present on their CSI with the demographics and locations of beneficiaries. She knew that Nomvula Mokonyane, the Minister of Communications, had already started engaging with Minister Cwele to deal with overlapping issues on telecoms, and to better coordinate on policy and regulatory framework matters to close all the gaps, so that when government engaged with industry the many voices would be carrying one message regarding enablers to reduce the cost to communicate. Additionally, by engaging from an Inter-Ministerial Committee (IMC) perspective, the relevant departments would be able to update Parliament on where spectrum assignment, digital migration and all other overarching matters were, to a joint sitting of committees of Parliament, as had been proposed by the DoC to the Portfolio Committee on Communications. The DoC had noted what had been required of ICASA and would engage ICASA and the Universal Service and Access Agency of South Africa (USAASA), as it had a responsibility to do broadband in rural areas. Mr Julius said the DTPS had said nothing to the Committee regarding the agenda line. Was DM Kekana speaking on behalf of the DTPS and DoC? The questions that had been asked needed responses. Mr Willington Ngwepe, Chief Executive Officer (CEO), ICASA, said he did not want to elaborate on the issues to which DM Kekana had responded. However, ICASA noted the disappointment expressed by the Committee about ICASA, which communicated that the entity had to do more to intervene. ICASA had not anticipated that the meeting would be dealing with spectrum and WOAN, and for the record, it had appeared before the Committee on 26 October 2017 and had gone into detail regarding spectrum. It had also come before the Committee on 2 August 2017 and canvassed its views on spectrum. Therefore ICASA’s views on spectrum were on public record and through the DoC, it would be engaging the DTPS in accordance with DM Kekana’s sentiments to deal with the stumbling block between ICASA and the DTPS. Mr Julius said he was not satisfied with ICASA’s response. The regulator had to tell Parliament what it would not venture into, and the issue of litigation against the government. Mr Nyambi said that perhaps ICASA was still to respond. The Chairperson called on ICASA to respond to the questions posed by the Committee. Mr Botlenyana Mokhele, ICASA Councillor, said issues around WOAN, spectrum and the litigation probably could not be ventilated to the Committee, as the questions should be posed to ICASA. The Chairperson interjected that the Councillor should refrain from telling Parliament about the appropriateness of the Committee meeting to discuss and respond to what had been asked of ICASA. Councillor Mokhele continued that the questions asked of ICASA related to reservations about the methodology of the research and the countries ICASA had selected for comparison, and that the approach had been urban centric and had not considered the realities. Secondly, the Committee had asked about WOAN, spectrum allocation and litigation, and finally competition within the ICT sector. The statistics that ICASA had presented to the Committee had not been to say all was well, but had been intended to describe the base from which ICASA intended to intervene. ICASA had presented where it was realistically intervening to ensure that the cost to communicate would indeed go down. The cost to communicate was linked to competition in the ICT sector, and the programme ICASA had presented had addressed different levels. The surface level dealt with data expiry rules, while the second level dealt with the actual data market in which ICASA was meant to intervene. The bigger structural approach which ICASA was taking, was the essence of what the priority markets project was about. All of this was legislatively mandated as an obligation of ICASA, and in terms of economy and consumer wellness, ICASA had thought that presenting on this three-pronged approach would be best. Mr Ngwepe said that benchmarks were contentious by nature, and no two countries were ever exactly the same, as there would always be differences in population, geography, income and policies. Someone could certainly come with a different set of countries to say SA was the cheapest in cost to communicate because of those nuances, but another could choose a different set of countries and say SA was expensive. The benchmark was a result of the last engagement with the Committee, because in August 2017 ICASA had only had the SADC benchmark and the Committee had wanted to know how SA compared with other countries outside the SADC region. The scope of the benchmark had then been expanded accordingly, and it should be accepted that the benchmark was to show comparison only. ICASA was not saying that because SA was cheaper than Brazil, there was no problem. He pointed out that Telkom had been included in the benchmark in the presentation, but in the section about the operators’ responses to the end-user subscriber service charter, Telkom had been excluded because ICASA had not seen anything that Telkom had done specifically to respond to the draft regulation. Certainly ICASA could have missed that, but as Telkom were present they could elaborate on whether they had done something in that regard. As recently as February this year, ICASA’s view was that a monopolistic WOAN and spectrum was a bad idea. If the invitation to apply (ITA) that ICASA had published was reviewed, it had proposed a hybrid model. There was space in which a model for WOAN could be canvassed, and then allow the industry to be allocated spectrum. Excusive assignment of spectrum to any single entity was not a good idea. He acknowledged that the interventions as presented ought to have been expedited, but ICASA had spoken about the end-user subscriber service charter as an immediate measure to deal with transparency and unfairness of the business rules, and a regulation would be published by the end of April. The project on priority markets would enable ICASA to intervene in the specific market to deal with all the bottlenecks that had resulted in the market being uncompetitive or a duopoly. Ms Phindile Hlela, Manager: Retail Market Regulation, ICASA, said the research methodology included the SADC benchmark, such as the economic and market structure dynamics of the countries therein, and the research which was published in the full report. It had also considered the number of operators in this field in SA, including not only the four entities before the Committee, as well as the comparator markets in which the duopoly operated. It could be gleaned from ICASA’s presentation that the duopoly indeed charged lower prices in comparator countries where they operated. However; ICASA had not only considered pricing as a standalone factor, but had looked at what possibly went into the costing elements that contributed to the cost of data. It had taken into account technological and geographic factors -- for example, comparing Swaziland to SA, the former country was inland and mountainous. The general idea regarding the research was to first ascertain whether there were any facts or validity to the comparisons of data pricing in BRICS countries already in the public domain. Having achieved a baseline of why SA data prices were higher than comparator countries, the regulator would expand its research. This would filter into projects which ICASA was already undertaking as interventions responding to the public outcry over data costs. Mr Mphahlele said that on the potential competition issues that ICASA had to address, it had embarked on a number of initiatives to address those issues in the market. It had embarked on the identification of bottlenecks in the telecoms sector through the priority markets project, and among the markets identified ICASA had focused on sharing of infrastructure. ICASA could possibly introduce regulations which were going to force operators to share infrastructure, but because that would involve regulations on competition matters, a certain process would have to be followed. ICASA could also introduce regulations which would mandate operators to have virtual networks on their platforms. ICASA was also reviewing the number of portability regulations which related to customers changing operators, but keeping their numbers. Lastly, the review of the 2014 regulations on call termination rates was important for competition, since the price of voice services, especially off-net, were highly dependent on the level of call termination rates. The rates would be reduced for the next three years, and ICASA expected that the reduction in termination rates would result in further reductions in voice tariffs, as had been evident in the past four years. Mr Barendse said that Vodacom had the detailed information it had presented from the connected schools and teaching academies, and would submit all that information to the Committee. It would welcome another opportunity to engage the Committee further, as that would allow it to discuss the provinces where it was not performing that well, what the challenges were, and how the Committee could assist the company through its constituency offices. Vodacom had the ‘Siyakha’ platform and other CSI services, and wanted to do more but was constrained through access to the communities and building more awareness. Vodacom had a detailed response on the reduction of rates in SA and how its pricing in the country compared with its own operations outside SA, but was asking to submit that information in writing. It was requesting to do the same on the question of the impact of WOAN on the cost to communicate, and what it had proposed in that regard. Vodacom was against the monopoly WOAN, and supported the hybrid model. Itwould also respond to the extent to which the End-User Subscriber Charter was silent or vocal on communication and the cost to communicate, as well as data expiry issues. Vodacom liked the segmented approach of stakeholders that the Committee had proposed for the future engagement on the cost to communicate, and would welcome having those age group segments coming to the engagement. Ms Netshitenze added that Vodacom would encourage the Committee to engage the Department of Basic Education (DBE) and its oversight Committee in the National Assembly (NA), since whatever it did regarding education and the choice of schools it connected was recommended and chosen by the DBE. Moreover, Vodacom was planning to launch schools of excellence, but to avoid a concentration in particular provinces, the company had decided to look at all ethnic groups across the nation so that where there were multiple ethnicities, that work would be done in consultation with the DBE. On input costs -- apart from spectrum -- there were issues related to how Vodacom worked with municipalities and Eskom. Where Eskom had no grid and municipalities had no roads, Vodacom had to absorb the costs. Sometimes it took municipalities up to two years to approve a base station application, which affected its coverage in some rural areas. It would also submit to the Committee its rural coverage plan, as it had engaged Minister Cwele in 2017 on the matter during a visit to uMhlabuyalingana, KZN, where it had emerged that the biggest challenge facing the government had been not only the lack of coverage in the communities there, but security issues, as the communities were at the border area where organised criminals operated. In the two weeks preceding the meeting, Vodacom had launched a base station there. Ms Molefe requested that Telkom be also allowed to submit written responses detailing its CSI programmes, although it used partnerships as a model for those projects. It also had a very clear employee i-volunteer programme which it would submit in writing. Copper theft affected not only Telkom, but other industries such as Eskom and Transnet. However, Telkom was pleading for state support in that regard, as it was now known that syndicates were targeting copper and returned repeatedly to steal, and refurbishment of the same infrastructure was costly. Mr Lucas Ndala, COO: Openserve, Telkom, said that one of the initiatives in replacing copper was the laying down of fibre optic cables to replace copper, but the copper network was quite extensive and the company would take quite a while to replace the entire network. Telkom believed that spectrum would help, especially in areas where repetitive thefts had taken place and continued occurring because Telkom would lay down copper cables in the morning but the following day they would have been dug out. There were areas in the Cape Flats, like Delft, that Telkom could not access to do maintenance because of gangsters and other security reasons. Spectrum and fibre would possibly be cheaper to operationalise, compared to copper. Mr Siyabonga Mahlangu, Group Executive, Regulatory Affairs and Government Relations, Telkom, said Telkom was not asking to be subsidised. It had happened that subsidies had been made available for water and electricity for those living on the margins of SA society. In section 88 of the Electronic Communications Act (ECA), where the Universal Service and Access Fund was mentioned and what it could be used for, the ECA envisaged a form of intervention on behalf of the poor to craft some form of subsidy. Looking at the fact that the fund was resourced from the contributions that operators made to that fund, so far that fund had been applied to other areas of need in SA society. Telkom was proposing that it was probably about time to ensure that the fund also reached those who needed to communicate. Eight years was not an accurate estimate for implementing the WOAN because it was technically possible to bring it into operation sooner, depending on how it would be constructed and if it was brought into operation to meet the needs of commerce and use by operators. The operators could certainly inform the Committee on the time and technical feasibility of that implementation. For example, for Telkom, if the WOAN had access to the 700-800 Megahertz (MHz) in the sub-1 Gig spectrum, that spectrum would allow operators to roll-out fewer base stations over a longer distance. That spectrum also allowed in-building penetration to give better quality of service and customer experience. Therefore any new entrant into telecoms would be able to provide that kind of service through WOAN with ease. That same WOAN would lower the cost of data, because the biggest barrier to entry for any player was infrastructure, and spectrum needed infrastructure. Therefore if that spectrum was to be put in a collective pot where everybody had a say on how it was rolled-out as infrastructure, that would enable economies of scale and that would prevent the duopoly using that to entrench their positions in the telecoms space in the market, unless the legislative policy of SA was that only the duopoly was needed. However, if the goal was customer choice at the retail level, then what was needed was resolution of the inputs upstream, and the biggest bottleneck to date was that the majority of the infrastructure was with the duopoly. All that economic research had been shared with the DTPS and the DoC, and could be shared with the Committee. The proposition was not a monopolistic WOAN, as perceived by ICASA, as it would be a credible infrastructure competitor to the duopoly, and would allow other players to offer the infrastructure requirements and needs. If the WOAN was sliced up into smaller pieces it would be just another player in the market and as a late entrant, it would not likely be able to dent the impact of the duopoly in the telecoms market. Mr Hasnain Motlekar, Managing Executive: Finances, Telkom referred to the validity periods of airtime, and said that Telkom to date allowed airtime to stay on a simcard for about three to five years without expiry. It had also created innovative bundles that were valid from one day up to a year. That validity period created a pricing differential which added value for the consumer, and Telkom had always led in creating awareness that it wanted to give data in abundance. The validity periods allowed that to happen, and gave the customer choices on the type of validity and for when it was necessary. The validity periods were mainly driven by input costs upstream. Telkom’s service was that when a customer went out of bundle, the default was that the customer had to choose to use data traffic on an out-of-bundle rate, without there being an automatic movement to airtime. Cell C said that WOAN would indeed reduce data costs, as it would decrease infrastructure duplication costs and would stimulate service-based competition. It also agreed that the timetable for implementation was not eight years, although the concern had been registered that WOAN would take time. Cell C anticipated a two-year time table, but felt that the necessary regulatory and legislative tools needed to be expedited to initiate that timetable. It saw WOAN as future-proofing the industry because even though its effects would not be immediately visible, giving spectrum to the duopoly would not reduce the cost to communicate, as the duopoly had not done that to date and had no incentive to do so going forward. Cell C was also not in support of spectrum being given wholesale to WOAN, but differed from Vodacom in their request for equitable distribution of spectrum. Cell C believed that WOAN should rather be given most of the spectrum, so that whatever remained could be allocated or auctioned off to other operators. Mr Phiri added that Cell C schools’ connectivity was mostly in rural areas and were geo-coordinated, as they were received from ICASA, which received the choice list from DBE and the DTPS. Mr Ntsele said that MTN would welcome the proposed future engagement, especially on its view around spectrum and WOAN. On infrastructure sharing, the narrative coming across was that there was currently little sharing to date, although a fair amount of that was already happening. Regarding the infrastructure needs of MTN, a lot of elements were involved and MTN would require the proposed longer period of engagement to go into the details. MTN would also readily make schools connectivity information available to the Committee, but it was also guided in the same manner as Cell C by ICASA and the DBE on where to invest in schools. Mr Sefako asked what was to be done in the border communities between Botswana and NW, if only Vodacom had a mast but MTN had none. What could be shared between the two to ensure telecoms coverage in those communities? Mr Ntsele replied that he could engage Mr Sefako on that outside the meeting, as the issue could be around the strength of the signalling of MTN base stations in those communities. The Chairperson thanked all who had participated in the meeting and said the Committee was expecting ICASA to return to the Committee with responses on how it would intervene on the issues regarding the cost to communicate.